The summer season is in full swing now and picnics, road trips and fun in the sun have likely already begun. 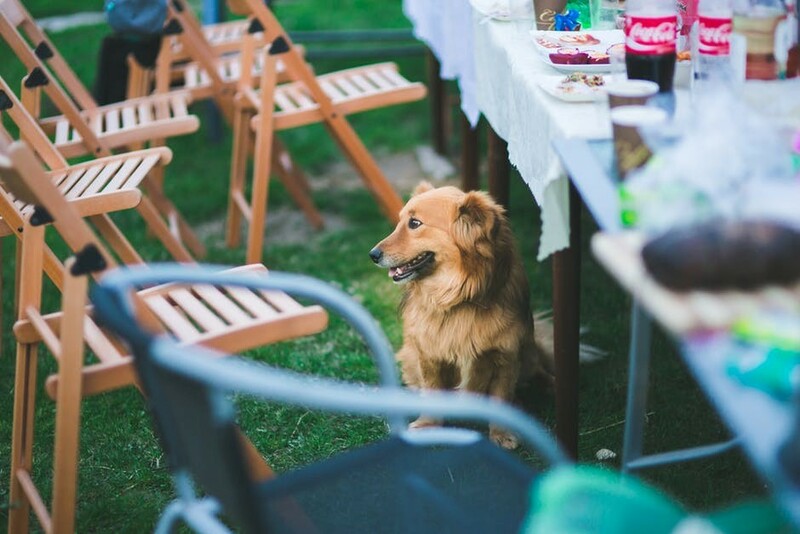 If you’re looking for a way to take your dog along for a picnic or allow him to spend time with the rest of your guests outdoors, you’ll want to follow these tips to ensure safety and an enjoyable time for all. Remember that dogs need shade too. Extreme temps and warm sun are hard on dogs so you want to ensure there is plenty of areas with shade, fresh water and somewhere your dog can retreat to when he wants to relax. 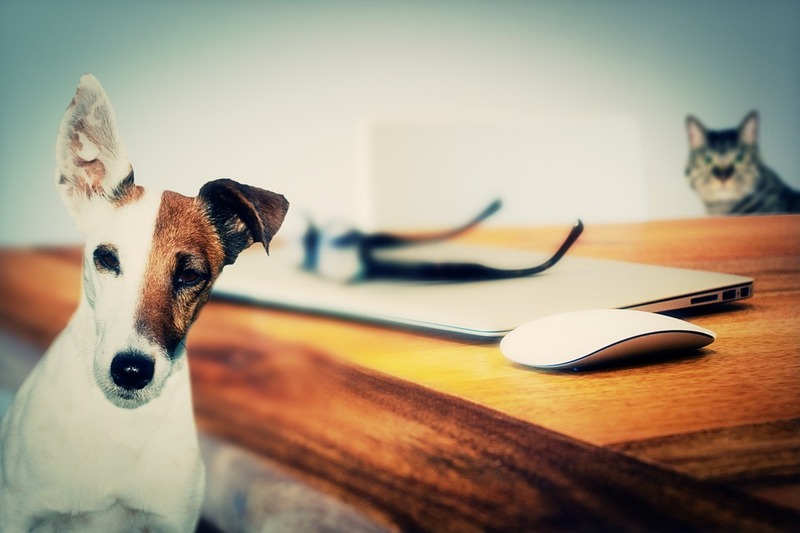 Keeping your dog’s best interest in mind may even mean leaving them behind at home where they are cool and secure. If there won’t be accommodating conditions or large crowds that may confuse or frustrate your dog, you’ll actually do them a favor by not dragging them along. Make time to toss the ball, share some safe foods with them and make them feel included in the day’s activities. If your dog’s favorite thing to do outdoors is playing fetch, don’t keep him from that fun time because you’re mingling with others. With the Fourth of July holiday approaching, it also makes sense to find out if any fireworks will be used at the event as dogs can be scared and run away. Plan to leave early or have them go indoors to avoid issues. Pet containment systems also offer a stress-free way to allow your dog the freedom to spend time outdoors without worrying if they’ll run into the roadway and be in danger or leave the boundaries of your home area. DogWatch Hidden Fence is rated a Consumer Digest “Best Buy” in the underground pet Containment category. The hidden fence works by transmitting a coded FM signal through a wire buried around the perimeter of your yard. If your dog gets close to the boundary wire, an audible warning reminds your dog not to cross and if they ignore it- which is rare after training – the collar then emits a mild stimulation to stop the dog. Dog Watch of Western Massachusetts provides user-friendly products and safe effective containment for your dog or cat as well as the training and support needed to allow you and your pet to enjoy your yard and freedom more than ever. Interested? Contact us for a free estimate! For most dog owners, the bond they share with their four-legged friends stretches beyond a household pet. For many that relationship is closer in relation to that of a parent and child, or even as another member of the family. Understanding one another is one of the main reasons pet lovers share this special bond with dogs. Now, new research shows that there is actually a greater link between dog gestures and commands and how man and dog are actually communicating with one another. More specifically, “referential gestures,” which are similar to pointing and signaling for humans, are what’s being used as a main mode of communication between domestic dogs and their families. This type of intentional request is rare among cross species and proof that bonds are only getting stronger. According to the study by researchers at the University of Salford, dogs aren’t just listening to commands from their owners and learning to obey them, they’re also doling out their own gestures and commands that they too have conditioned their friend to learn to abide by. The study links 19 dog gestures to commands that once given, humans typically understand and carry out for their pooch. Those gestures observed by researchers got owners to do things like scratch, feed and play with the ball and we’re communicated by actions like reaching with their paw, gazing and standing on their hind legs. The study even found that dogs will push to speed up their human friend’s response to their command if they are not following through. 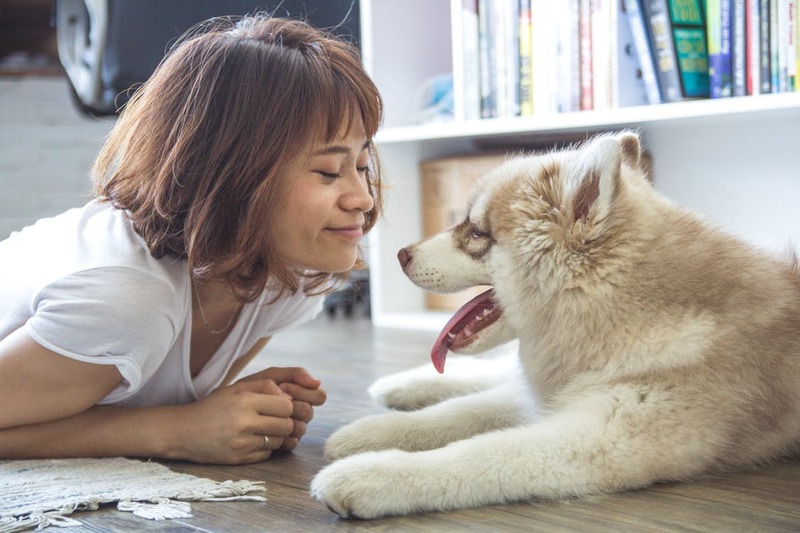 Factors including how long the dog has lived with the humans, how many people they are communicating with daily and their socialization skills all play a role in how well they can communicate with their families. So what does this mean for your beloved pal? He might not be telling you when it’s time to turn the TV off and go to bed just yet, but he is already talking to you every day and with the right training and boundaries set, the lines will continue to blur between pet and another member of the family. In need of perimeter fencing for containment and looking to help your dog better understand commands so he can enjoy more freedom? DogWatch of Western Mass offer professional dog training tailored to specific needs. A DogWatch hidden dog fence installation for indoors or out, is safe and effective for all dogs – young, senior, shy or energetic. Summer weather and picnic season is upon us here on the east coast. After a long, cold winter, most of us have been waiting with anticipation for the time we can spend outdoors soaking up some vitamin D and breathing in the fresh air. Our dogs love the outdoors just as much as we do and are also looking forward to the opportunity to spend more time with you in the yard. If you adore the outdoors and your yard maybe you even have a garden filled with seasonal vegetables like tomatoes, eggplant and basil which do well in the summer seasons in New England. Maybe you haven’t planted a garden anymore once you noticed your dog wasn’t as respectful of the space as you needed him to be. There are ways you can plant a dog-friendly garden so both you and your pup can get the full benefits of time outdoors. Here are some tips for planting your garden with your canine friend in mind. Knowing which flower and brush will suffer from dog marking and avoiding planting those around areas the dog will access is important. 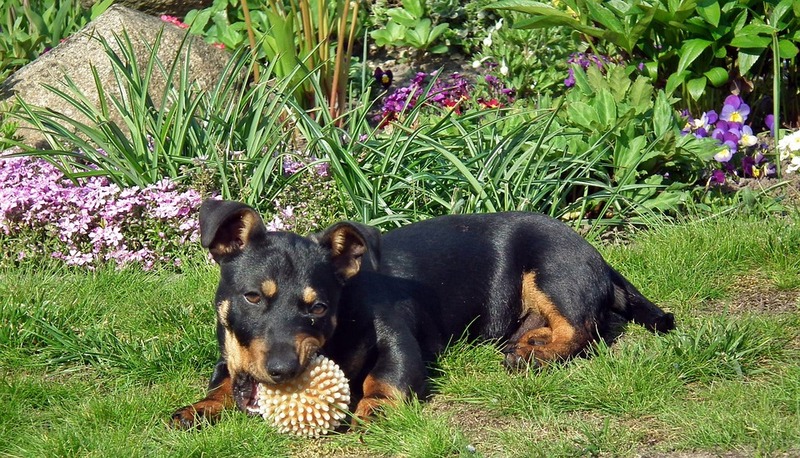 Some perennials will continue to thrive regardless, while others will quickly wilt and die from the acidity in dog’s urine. Be sure to also do your research and choose plants that won’t threaten your dog’s health if ingested. Some plants and even mulch can become toxic if eaten in large amounts. If you can avoid planting those you’ll lower the risk of having an emergency situation arise. As you’re planning the layout of your vegetable and flower gardens keep your dog’s use of the yard in mind. If you can create a barrier to keep plants out of his way and sight or plant those dangerous and easily wilting items toward the back you may be able to keep a garden with less hassle. Another terrific choice for safe pet containment is invisible fencing. Not only do you get the protection of a fence to keep a dog within the boundaries of your yard, but you also do it without having to block your view or put up actual fencing. As you’re designing the layout and perimeters for which to allow the dog to roam freely you can keep the garden area off limits. As an added bonus, your pup will get lots of free space to roam around and play and the more activity time they can get in, the less they’ll be concerned with getting into areas where they don’t belong. DogWatch of Western Mass is an official provider of the DogWatch Hidden Fence System. From installation of electric fences to training we help ensure your four-legged friend is safe and happy at all times. The benefits of staying healthy and fit is something most of us are aware of today as we fight the obesity epidemic and associated health risks of carrying excessive weight and limiting physical movement. Just as this is dangerous for humans, it also puts our four-legged friends in danger. Pet obesity rates are rising today as we spend more time at the office and less time doing outdoor activities. Just like humans, being obese increases your pets risk for developing diabetes, blood pressure or even cancer. While positive reinforcement certainly goes a long way to train your pets, treats can easily increase caloric intake and add to excessive weight gain in dogs. Add to this the less frequent walks and time spent outdoors in general today, and the threat increases. Here are some tips on increasing activity time to help keep your pup fit. For anyone looking to get in shape and provide their body with proper cardiovascular health, creating a schedule is the best way to work fitness into their daily routine. Just like a doctor’s appointment or business meeting, this dedicated time slot should be honored. Be sure to take your dog along for the outing so he is also getting recommended daily exercise. Depending on the breed and type of dog they may need up to two long walks per day to receive enough activity. Another way to increase the time your dog is up and moving about is to give them more freedom. Both indoors and outside. Keeping your dog in a crate for the long workday is an option many people frown up. Once you build up trust in your canine companion you may find that you can leave them out of the cage for the day and provide them with some time to get up and move around. 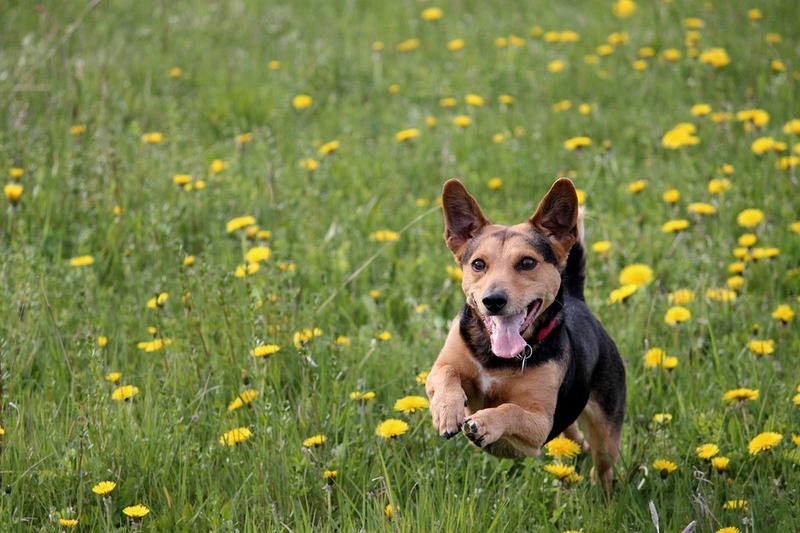 Running free outdoors is also something most dogs love to do. Even if you don’t have a physical fence up, you can allow them freedom in both scenarios by installing invisible fencing. Setting up a safe barrier that allows your pet freedom to roam and stretch as needed while keeping them your personal property safe is a top benefit of invisible fencing. Using wireless technology and a dog collar you can set up dedicated perimeters for the dog to stay within. Keep them out of the kitchen, your flower beds and away from danger without putting up obstructing and bulky gates. DogWatch of Western Mass is your source for user-friendly containment systems for your dog or cat to give them freedom while keeping them safe. Learn more about hidden dog fencing products from DogWatch. Keeping our pets safe from harm is as important as protecting the rest of our family from injury. For most owners of furry friends, they have become an integral member of the family. Many sharing the bed, meal-time and TV watching with their loved ones. The one major difference with pets is that they need some extra care to pet-proof the home, especially if they are left home alone and do not use a crate. 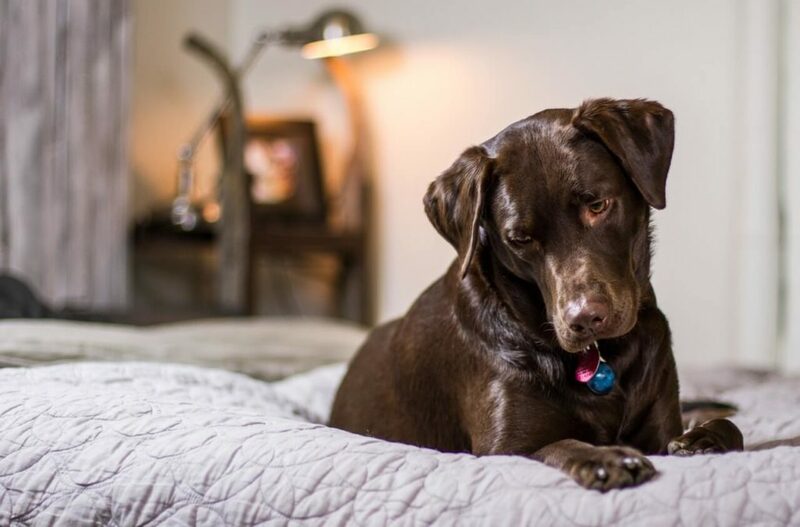 Here are some things you can do to ensure you home is safe for your pet – even when you’re not there to watch their every move. Just as with young children, you’ll want to consider keeping things that can cause harm out of reach and enclosed in a safe place. That includes cleaning products, medicines, pesticides and other sharp, tiny or dangerous objects that can easily do harm if mishandled or ingested. Our pets may be able to listen to commands, but their curiosity can also get the best of them and lead them to get into things they shouldn’t so being extra vigilant about what is in their reach is key. Leaving food on a countertop, or worse, the stove, unattended, is a huge risk in homes with active and curious pets. Not only could they potentially reach up and turn burners on the stove, but there are many human foods that we consume that can be fatal for our four-legged friends. As a responsible pet owner, you’ll want to be sure you don’t have any low set candy dishes (sugar is a terrible thing for dogs to ingest) and keep your floor swept of dropped foods. In addition to watching where you place food, you’ll also have to keep an eye on what others who visit may feed to your pet not knowing about the risks of certain foods or giving them too many snacks which can cause your pet to become unnecessarily ill. Many people have used baby gates in the past to keep smaller pets out of certain areas of their home. But let’s be real, what pet’s don’t climb and jump? And if you’re not there to monitor them, that leaves a lot of room for risk. Having to unhinge or step over these gates to move throughout your own home can also get irritating. Instead of a baby gate to block off a section of the house, consider an indoor dog containment system where your dog simply wears a collar and can be set within boundaries using wireless technology. A small transmitter placed in discreet areas send signals to keep pets from passing through the boundaries you have set. DogWatch of Western Mass provides user friendly products for the safe containment of your dog or cat. We make it so that your pet can roam around freely while still keeping them safe from harm. Contact us today to learn more about hidden dog fencing products from DogWatch. There are so many joys that come along with owning a dog. These pets have long been man’s best friend and today, they have made their way into so many families and are treated no different than a sibling or child. As our four legged friends become more accustomed to doing everything their human counter parts are doing —sleeping in the same bed, eating meals at the same time, maybe even swimming together —it’s become difficult to lock them in a cage for eight hours a day while everyone is out of the house for work and school. The alternative can be dangerous. Not just because your dog may get into something or destroy everything in its path while you’re away, but other accidents that are more serious could result. If you’re opposed to using a crate to control your dog while you’re at work, there are other options that help with containment and monitoring to consider. 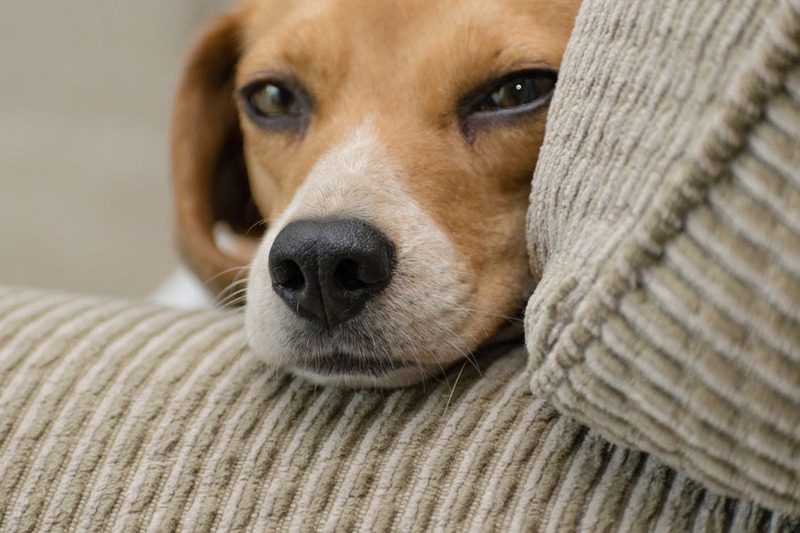 While some older dogs who have lived in the home for many years and don’t do much but lay around seem safer than a wild pup to leave unattended all day, you should still consider getting a video monitoring system to at least tune into what’s happening at your home. There are many cost sensible options today that work via an Internet connection. Using your mobile device, you can easily tune in at any time to see what’s happening at a specific location. This will give you peace of mind and can even be used to secure your premises. But the downside is that most of these systems only monitor one or a few different spots. Most dogs will travel all over the house and get into places even you don’t understand how they managed to get there. So video monitoring a dog that is free to roam the whole house isn’t a perfect option. 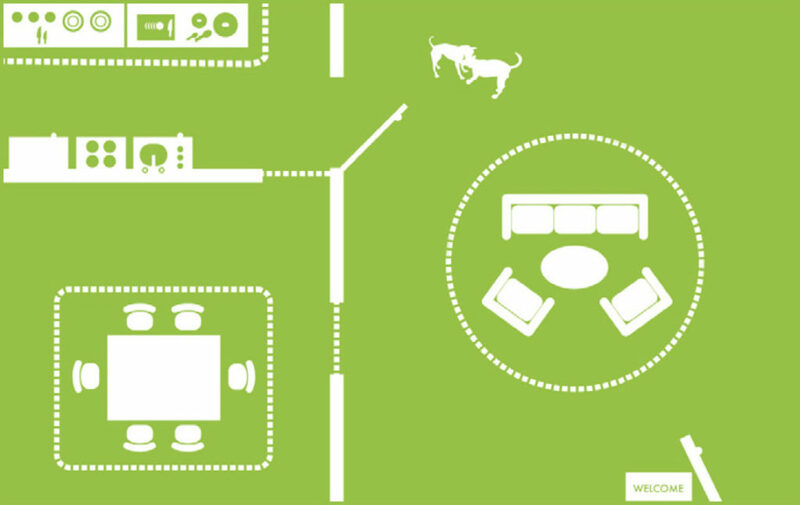 Hidden fences use wireless technology to keep dogs contained within a preset boundary. These systems make it possible to designate safe portions of the house for the dog to access as well as limit them from entering other areas. 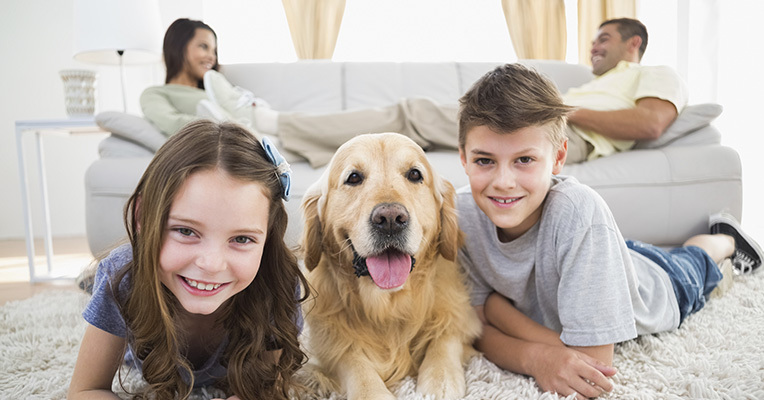 DogWatch Pet Boundaries is an indoor dog containment solutions that includes a user programmable receiver which can be customized for your pet’s personality and training requirements. The offering keeps your dog within boundaries using a collar and coded FM radio signal. Only you know your dog, but used together, and with proper training, these options could create a perfect opportunity to let your dog have freedom while you go to work and without having to worry about coming home to any catastrophes. Contact Dog Watch of Western Mass to learn more about our indoor and outdoor hidden fence offerings. It’s a beautiful thing to belong to home with the love of pets in them. 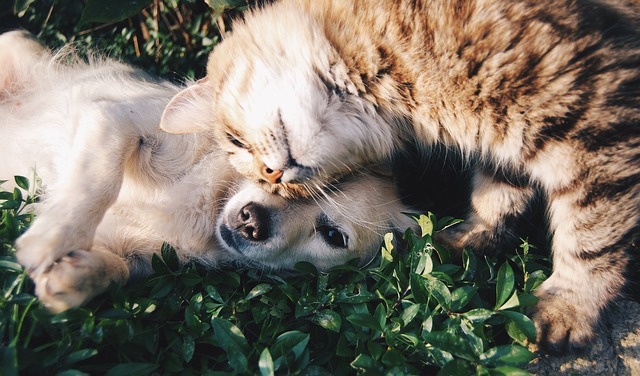 Both dogs and cats provide companionship and comfort that only pets can provide. It’s even nicer when the two species can live together in peace. Having a dog and cat in your house presents some obstacles like keeping their food seperate, sharing space on couch or who gets cuddles first, among other issues. The bond shared between man and dog is incredible. If you’ve ever had the pleasure of being a canine owner then you know just what we mean. Some of us love snuggling up with our four legged friends at night. They can be great for keeping you warm, feeling secure, or they can crowd the bed and leave little room for a comfortable night’s rest. Anyone who has been lucky enough to care for an animal knows how special having a pet can be in life. 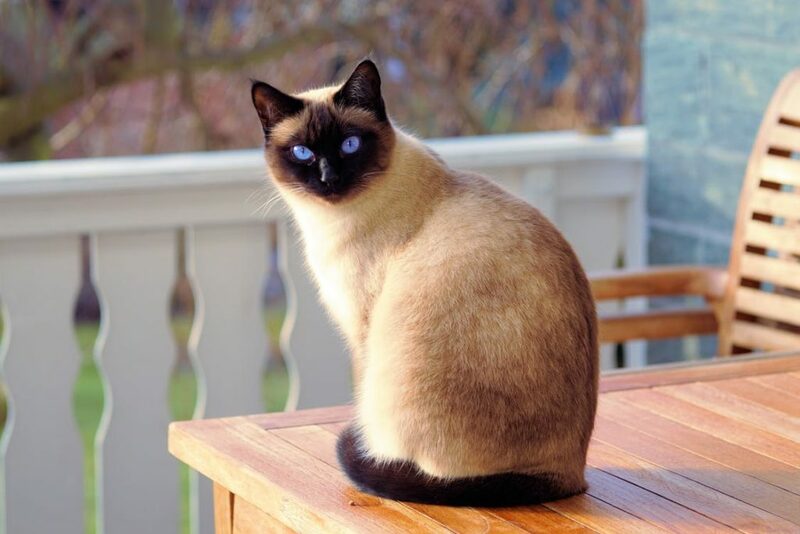 But for cat owners, keeping these beloved animals close while outside of the home can be difficult. Unlike a dog, that can be conditioned to stay close to his owner with voice commands or use a leash, cats have a more wild and free personality so taking them outdoors safely takes some getting used to. For years we’ve seen depictions pitting cats against dogs. The endless comics and cartoons and even arguments in adult life have focused on why one animal is better than other. But the reality is that these animals, like any living being, can live together in harmony if they are just given a chance to get to know one another.